On February 17, we’ll host Louise Fili at the Corcoran, continuing our 2014 30.50.100 design celebration. Fili will reflect on her business, books, teaching and her unyielding passion for food. Participants who attend will see why this designer has garnered numerous accolades that include medals from the Society of Illustrators, New York Art Director’s Club and an induction in to the Art Directors Hall of Fame. 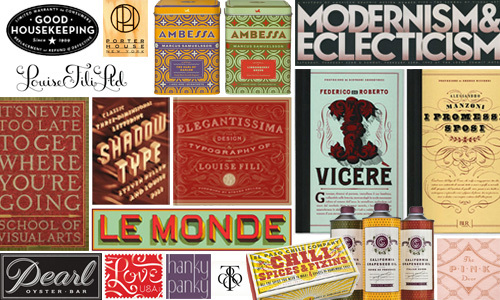 Because Louise Fili has spent much of her life empowering the next generation of designers, all proceeds from her presentation will benefit the Design Continuum Fund. Applications for the 2014/2015 Design Continuum Fund/Worldstudio scholarships are due March 28, 2014. Interested students can apply here.